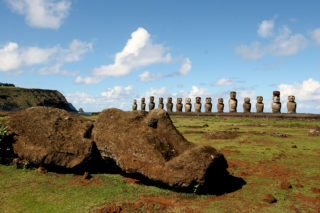 On Easter Island we can see a perfect example of the collapse of an isolated civilization. It was the isolation and over-exploitation of the available natural resources that were considered inexhaustible to trigger it. Company isn’t just an antidote for boredom—when it comes to cultures, it may mean the difference between stagnation and growth. Australian aborigines, cut off from contact with other human groups (and the fresh achievements in technology and knowledge they would bring with them), hit a technical peak—and stopped there. Without any new input, any new ideas to add to their own savvy, to crossbreed with their own knowledge to result in a breakthrough conducive to a higher mastery of their environment and resources, they could go no further. Uncorroborated reports point out to some Tasmanian groups even losing the capacity to make fire—which they would thereafter remedy by borrowing it from friendly neighbors—if admittedly this would be an extreme case of technical retrogradation. Cultural and technological isolation can also, oddly enough, happen by deliberate choice. After developing a very interesting civilization the Chinese during the Qing dynasty in the 15th century pretty much decided what they had achieved so far was good enough for them, and that was it. They from then on stopped virtually all contacts with the outside world (and the new developments in both science and technology) until the outside world then by the late 1800s drastically showed them what they had been missing all along. The consequences are arguably felt even to this day. Japan was another such case, if here the reaction to Commodore Perry’s forceful opening of the islands to the world was a policy of quickly catching up on what the previously ignored neighbors had to offer, which turned Japan into a world power some decades later. Contact with other cultures, then, appears to be a sine qua non for any civilization to live long and prosper, to borrow a phrase. Sufficiently interested readers are invited to take a look at I. Shklovskii’s Universe, Life, Intelligence, (Moscow, USSR Academy of Sciences Publisher, 1962)—later developed into Intelligent Life In The Universe, after a collaboration with Carl Sagan—for a number of insights on this issue. And, once more, science fiction was there first. Aside from all the fast-paced adventures of the space explorers he depicts as stranded on Earth, the premise of Chad Oliver’s The Winds Of Time (1957) is indeed the plight of a lonely civilization looking desperately everywhere else for company. It of course helped that Oliver was an anthropologist himself, a point evident throughout the novel. 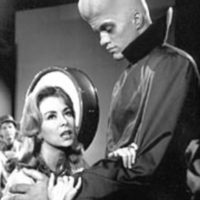 So, at the very least, then a case can be made as well for a hypothetical technically advanced alien culture being also self-contained and averse to foreign contacts—which greatly diminishes the chances they need to come all the way to Earth to show what their weaponry can do. Which, naturally, brings us once again to the issue of which is the more advanced civilization (in what science and/or technological field??) and what exactly can you do when you come to Earth with all guns firing. Suppose, if you will, you’re parachuting on the Amazon jungle. (Let’s ignore that nasty canopy of treetops where your parachute has every chance to become entangled, and assume you’ll make it to the ground all right.) All through the descent you’re surrounded by the best technology available, from the ingenious device that allows you to slow down what otherwise would be a freefall, to the boots protecting your feet from the rough ground. And now, having made it to the floor of the jungle, you’re ready to show those tribesmen who’s boss. As soon, that is, as you can wipe all that sweat from your forehead. And fend off those insects flying around you. Oh, yes, also the snakes. Did we mention the insane heat? Meh, forget it—your call for help won’t be answered for several years, and it’ll take twice as long for you to be able to hear the response. That uncooperative limit set by the speed of light, remember. Supplies, supplies, supplies. You’re using up your bullets on those pesky aborigines like water; better save some for a rainy day. (Rainy day in the jungle, now that you mention it, how about that. Not nice, no sirree.) Food, of course; the local fare is inedible when available at all. So you can see the problem here. 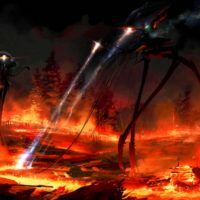 Unless the planet you’re bent on invading is a rather close duplicate of your own, chances are you’ll find the whole enterprise as charming as invading Hell. The local gravity field, for starters: Wells’ Martians had to resort to some serious technical props to move about in a world where they felt three times heavier, and conceivably didn’t have it any easier either when trying to sleep at night (imagine you’re wearing a full-body cast after an accident, say). It could be the other way around—a weaker gravity that initially will make you feel like a star athlete capable of the most astonishing feats until you start losing muscle and bone mass, and become irreversibly unable to set foot on your home world again. And yes, the environment; temperature and such details. What liquid did you say plays the role of water in your home world? Ammonia? How nice—but no, it isn’t a liquid here; kind of too hot here on Earth for that. You might decide you’ll then forgo taking showers, but how about dying of thirst? Oh well, is your home “water” instead a silicone fluid? Then I’m afraid this planet is a tad too cold for you—you’d need another one with a hotter mean temperature than a blast furnace. 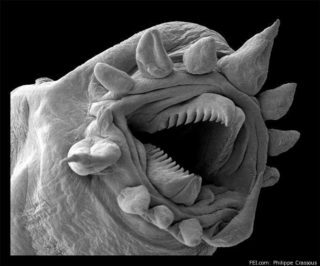 Invading a planet with a totally alien biochemistry would have one advantage though—the local microbial fauna and flora conceivably wouldn’t be able to eat you alive, like they did Wells’ Martians. Only, of course, that might not be enough of an incentive to travel lightyears away from your home world, fight natives that outnumber you (and might have a trick or two up their technological sleeve) and, if you’re lucky, conquer a world you can’t live in unprotected. A thought here: Even for a race so addicted to war and conquest as the human race, environment counts. All invasions here have taken place under the same gravity, with a similar atmospheric composition, and with an adequately edible fauna and flora. Also within the same mean temperature range—nobody has rushed to conquer Antarctica, or sent armored divisions to occupy that nicely dry Sahara Desert. So that would then leave terraforming—or “alienforming,” if you will. You will conquer that alien, uninhabitable world, and then spend conceivably centuries trying to turn it into some place nicer where you can hope the grandkids of your grandkids may one day live. A case can be made for trying that with a world closer to yours though—preferably on your own star system, if you already have that kind of technology at hand. Unless, of course, those aliens are so incurably aggressive.